In addition to the hundreds of residential Christmas lighting displays that we complete each year, Simply Lit also decorates for commercial properties. We've decorated for churches, community entrances, shopping malls, strip malls, fast food restaurants, apartment complexes, adult communities, and even cemeteries. We can decorate the perimeter of buildings, outdoor trees, artificial frame trees, megatrees, walls, monuments, lampposts, bushes, and just about anything else. Commercial Christmas lighting customers receive many of the same services of our residential customers, but we've added a few extra services at no cost. We only use high quality LED Christmas lights for our commercial displays. LED lights are much less prone to failure compared to incandescent lights. The LED lights also consume much less electricity and are much less likely to trip breakers or GFCI circuits. If the property already has lights, we won't use them, though we can make exceptions for greenery. It is very important that we have a consistent product among all of our clients. This ensures that our installers can effortlessly complete the installation and we have extra product if needed. Christmas lights can be expensive to purchase, especially for commercial properties which need a lot of lights and usually a lot of expensive high quality greenery. To reduce the up-front costs, we lease all decorations to our commercial clients. Our lease prices are far cheaper than retail prices. Also, every year you will receive working product and won't have to purchase replacement lights. Each commercial property is different and needs a special holiday decorating plan. A Christmas lighting design consultant will review the property in-person, take photographs and make accurate estimations on the number of lights that will be used to bring property to life. You will receive a detailed estimate with accurate pricing and photographic examples of the display. 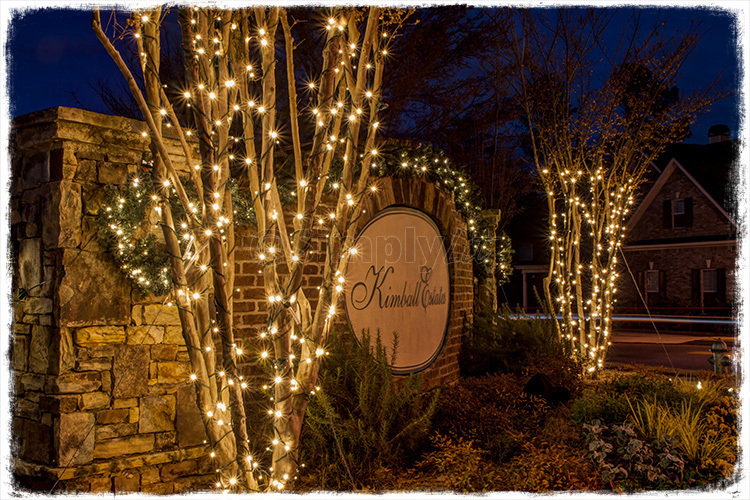 Our commercial Christmas lighting crew leaders have multiple years of experience hanging Christmas lights. Each display we create will be professionally installed and will look amazing. Many of our competitors send low wage employees to decorate for their commercial clients, but we only send our best. Though we do our best with the installation, there are always issues that arise which are beyond our control. Bulbs can burn out, lights can be broken, cars, people, and dogs can pull lights down. If anything bad should happen, please let us know and we will send a service crew out to fix the issue within 48 hours. We can begin removing decorations as soon as December 27. Give us a date range and we will have the commercial Christmas lights removed at your convenience, weather permitting. Remember, there is no charge for removal. Since the Christmas decorations are leased from Simply Lit, there's no need for you to store them! After the decor has been removed in January, we will label and bundle the lights and store the Christmas decorations until next year at no charge. We will try to photograph each of our commercial projects and would be more than happy to share the best photos with you. 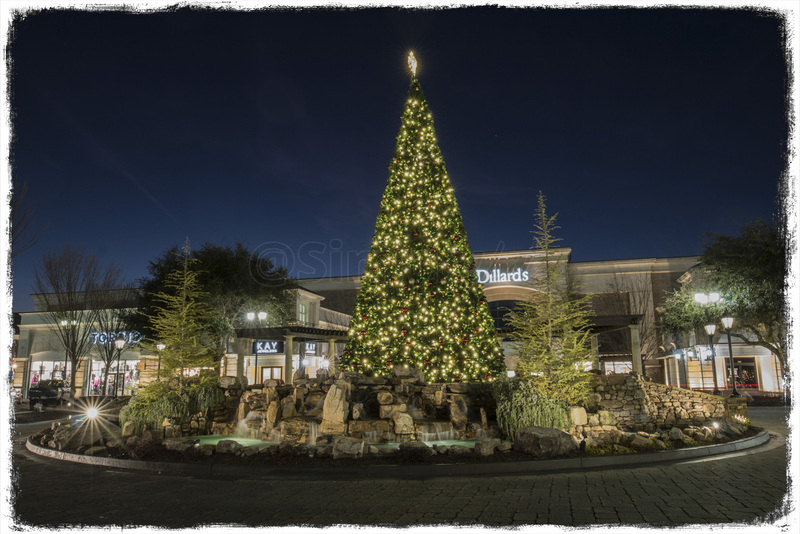 You may view a small sample of our work on our commercial Christmas light gallery.